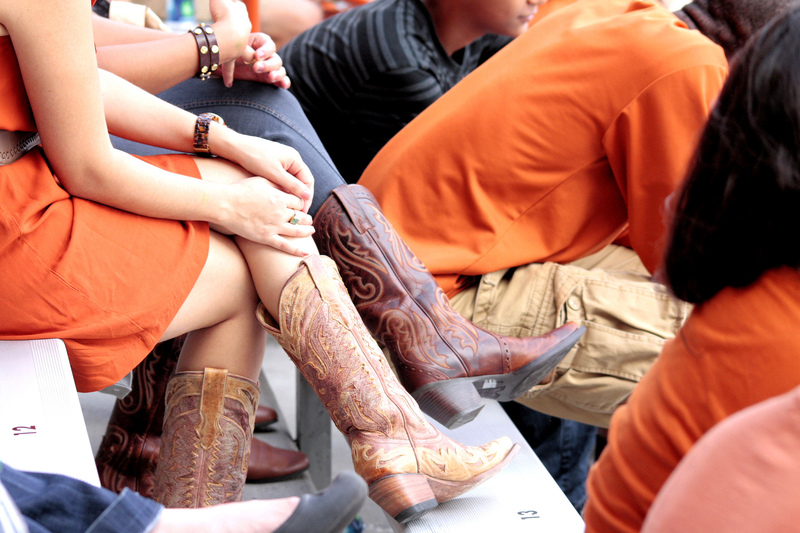 The Texas Longhorn football team kicks off the 2015 season against Notre Dame in South Bend, Indiana, on September 5. The home opener against Rice is a week later on September 12. That means the college football season is upon us. 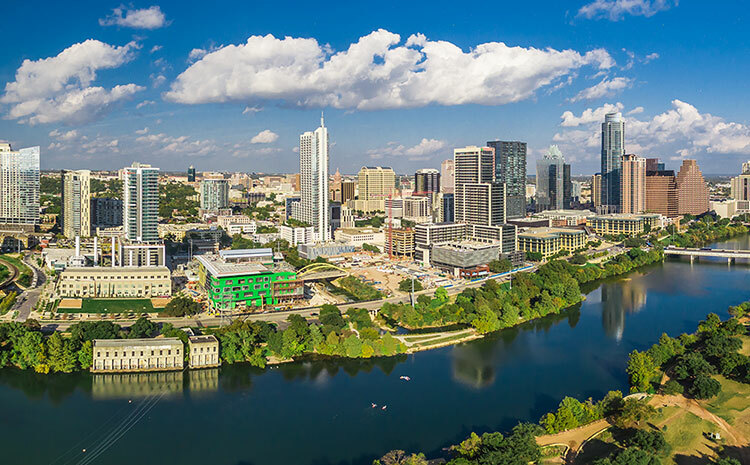 Even if you don’t like football or went to a rival university, attending a Texas Longhorn football game is something every Austinite should do once. You and 100,000 or so of your closest friends are in for a treat. 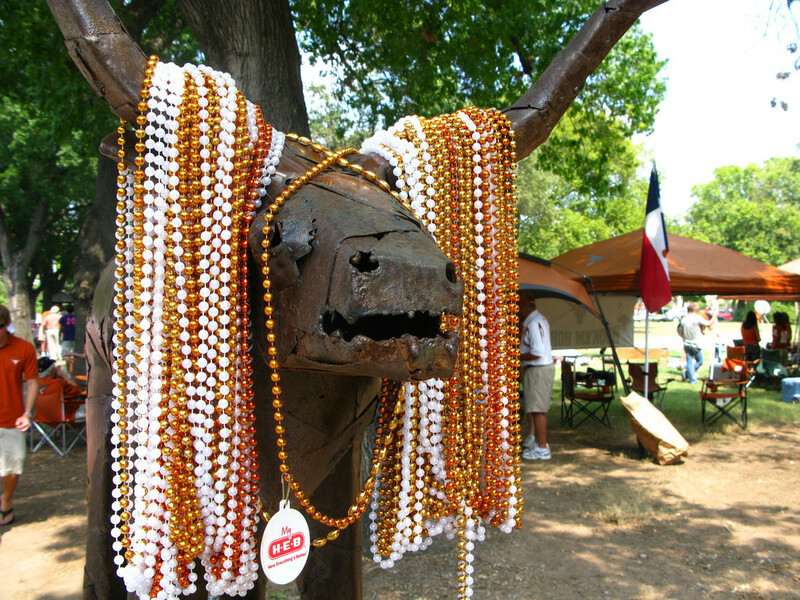 When you make your way to Darrell K. Royal-Texas Memorial Stadium, you will meet a cast of characters unlike any other in Austin. Photo: Flickr user John Lloyd, creative commons licensed. 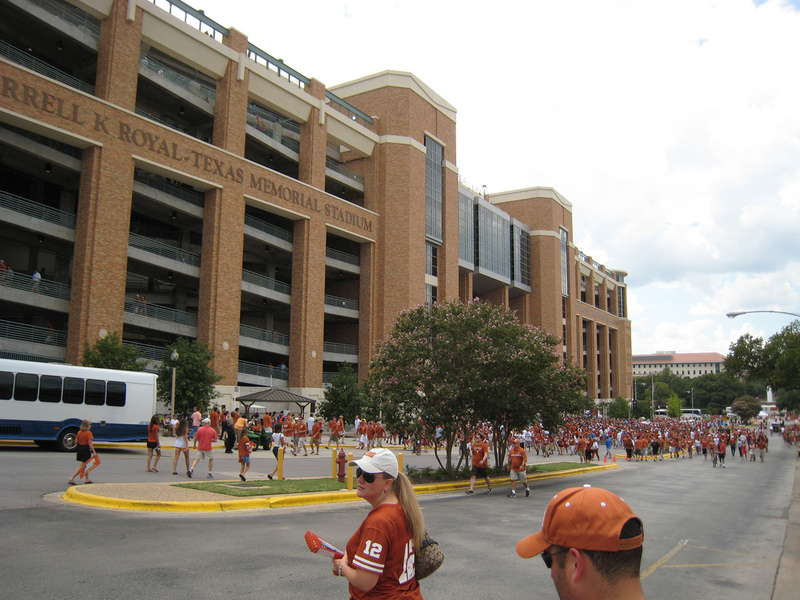 Parking for UT football games is big business. But don’t think the university and downtown garage owners are the only ones raking in the revenue. 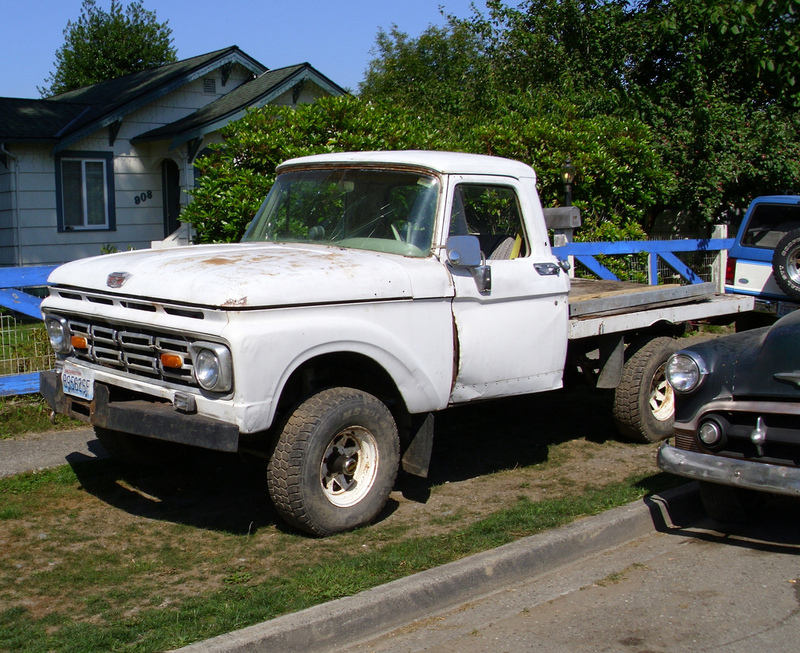 Entrepreneurial homeowners in East Austin charge $5, $10 or even $20 for fans to park on their property. If you drive through the east side on a game day, you’ll see plenty of people in their front yards flagging down drivers to offer a patch of grass in exchange for a few bucks. Photo: Flickr user Kari Sullivan, creative commons licensed. Some people go to Longhorn games and never even set foot in the stadium. Instead, they pack up flatscreen TVs, massive grills, kegs and tents and head to the parking areas around the stadium. They get there early in the morning to stake out the best spots and then drink all day no matter what time the game starts. Photo: Flickr user Stacey Huggins, creative commons licensed. Once you’ve parked and passed the tailgaters, scalpers are the last people you encounter before showing your ticket. There are always people trying to sell tickets and even a few looking to buy an extra one. Now that you’ve made it into the stadium, there are more characters to meet. Throughout most of the season, the standard outfit for women under 40 is the sundress and boots. This getup is designed to optimize comfort and attractiveness. Photo: Flickr user Counse, creative commons licensed. Depending on where your seats are, you may not meet the old money alumnus. This person has tickets on the home side of the field toward the center of the stands. These seats are earned through years of season ticket holding. 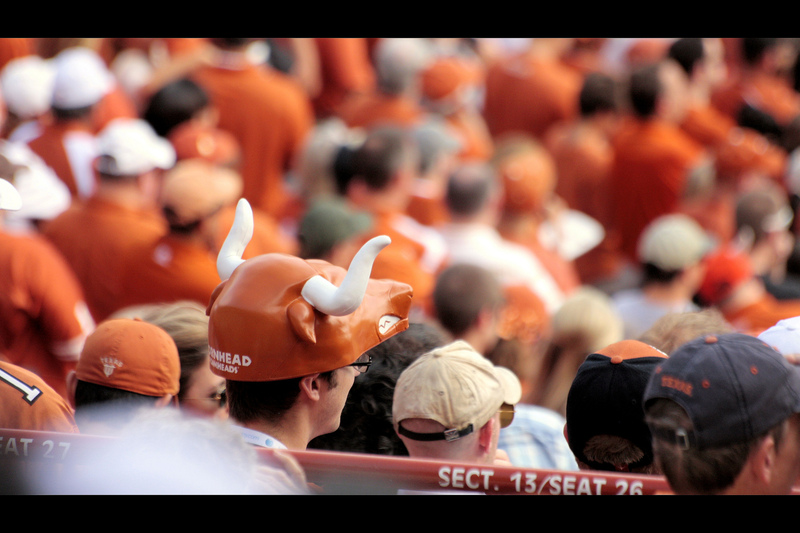 The old money alumnus has been coming to Longhorn football games since long before any of the current players were born. Photo: Flickr user Dylan Wolf, creative commons licensed. Contrary to what many think, this season will not be UT’s first to sell alcohol at football games. There are a few places in the stadium where booze has been for sale. Before this year, the university did not sell alcohol throughout the entire stadium. 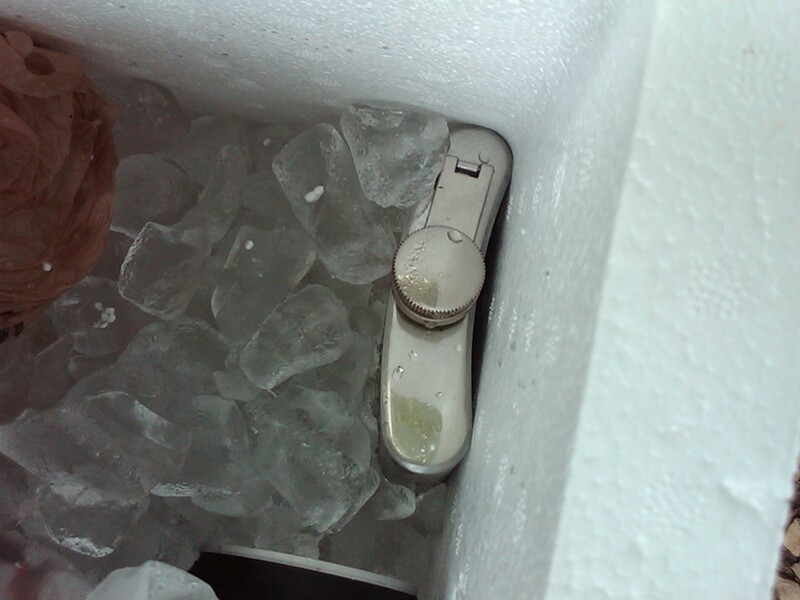 In years past, a flask was many a game-goer’s best friend. 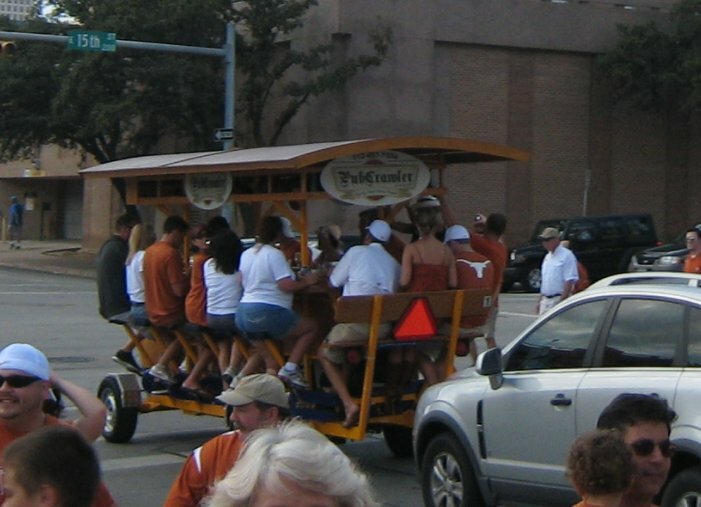 Just because UT now sells beer throughout the football stadium does not mean there weren’t obvious drunks in years past. A few of those extreme tailgaters made it into the stadium after a day’s worth of drinking. At the beginning of each game, the public address announcer gives the phone number where fans can text security staff about unruly behavior. Some people treat sporting events like costume parties. UT football games are no different. You’ll see people in silly outfits, ridiculous hats and painted chests. It’s all a part of the American stadium experience. When you’re not going to the beach or the pool, it’s easy to forget to slather on some sunscreen. 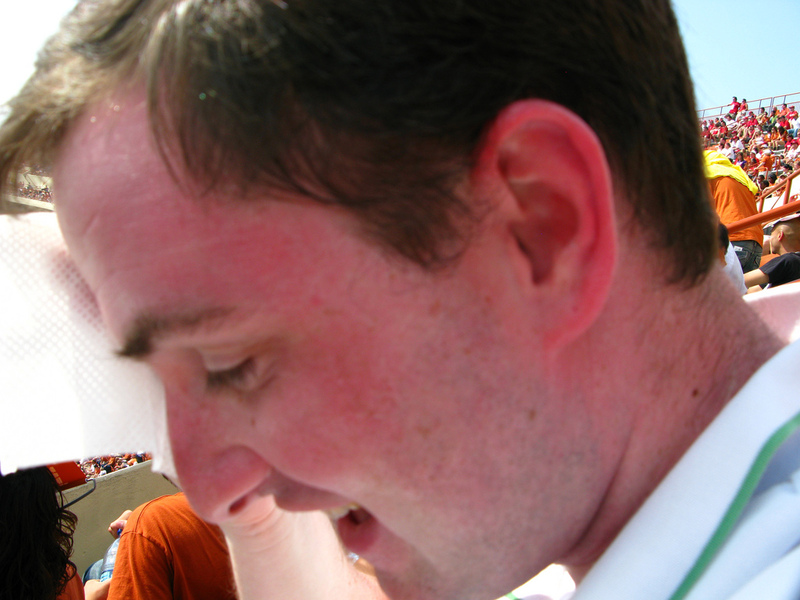 Even when the kickoff is late, there is still plenty of time to catch a nasty sunburn. For afternoon games, bring enough sunscreen for reapplications. 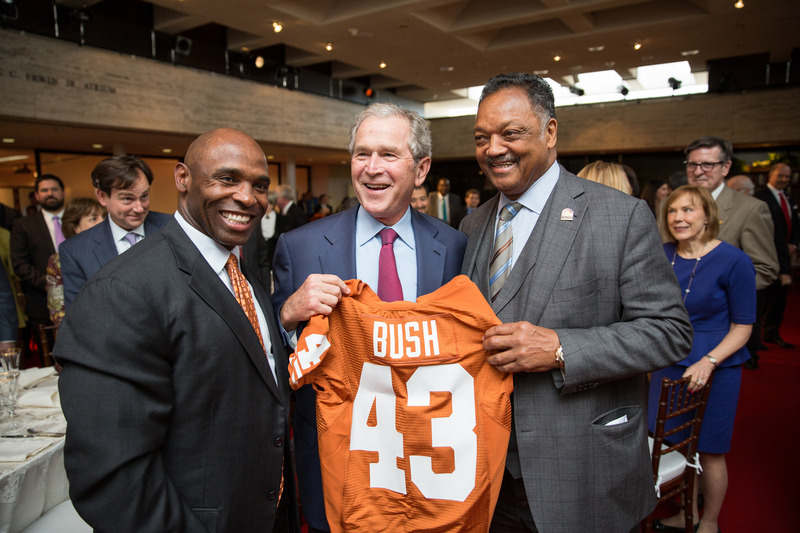 Charlie Strong, President George W. Bush and Rev. Jesse Jackson. Photo: Flickr user LBJ Foundation, creative commons licensed. 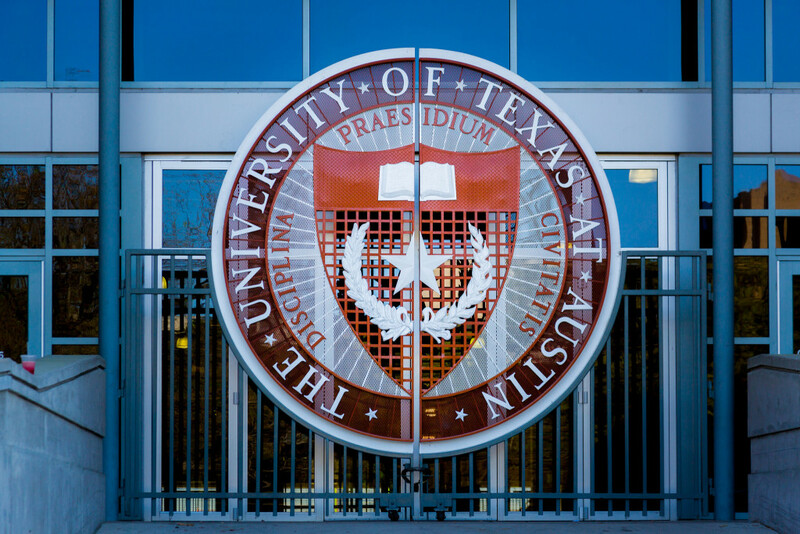 Head football coach Charlie Strong is the most important guy in the stadium, and he has set himself apart from other college football coaches with his insistence upon good morals over sound athletics. Hence, Charlie is his own type of person. His singular objective for the day is to secure a victory, but his long term goal is to help create good men. Maybe that’s why we love him so much. You’ll probably see him several times throughout the game on the jumbotron. If you look for him on the sideline, he’ll be the barrel-chested guy in the mock turtleneck and headset. You will know it’s him because everyone cheers, without exception. Feature photo: Flickr user aaronisnotcool, creative commons licensed.